Rennsport: that fabled and oh-so evocative Porsche moniker that conjures up a heady assemblage of unrelenting, motorsport-derived excitement at the wheel of a sportscar. It is the quintessence of automotive finesse in a road car; the rawest, purist instance of breathtaking performance on four wheels. 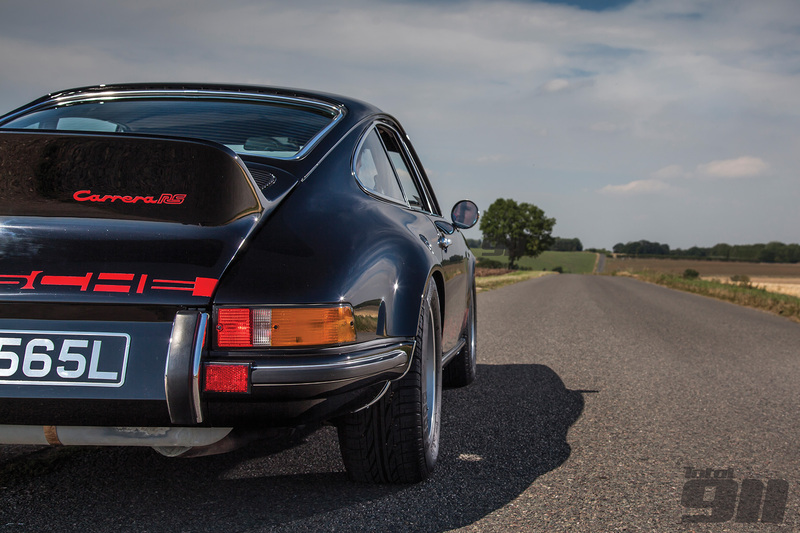 Quite rightly, the ‘RS’ sits at the pinnacle of the 911 bloodline as the most coveted and desired model among enthusiasts. 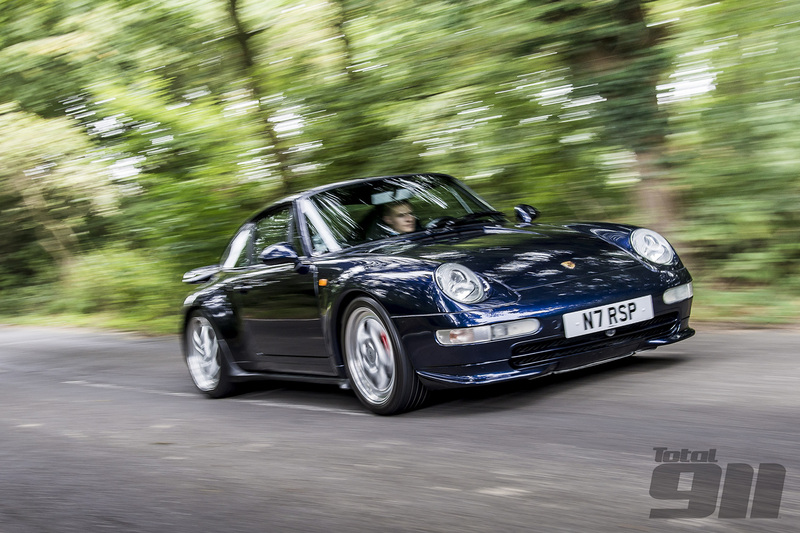 Luckily, I’ve had the pleasure of driving most of them: from the original ‘godfather’ in the 2.7RS through to the halo 997 GT3 RS 4.0 via the zenith of air-cooled excellence in the 993 RS, the lineage of the 911 Rennsport is as breathtaking as it is clear to my mind and senses. However, there is one standout RS variant whose pedals have escaped my shoe soles, and it’s down to more than sheer coincidence. The 964 RS is highly thought of by most who worship the ‘other’ prancing horse (and the incredulous hike in values last year will no doubt have appealed to wider collectors and investors too) but it is a 911 that, as yet, I’m not upset about not pedaling. Why? Well, it’s just a lightened Carrera 2, isn’t it? The 2.7 RS of 1973 started a rich legacy of motoring excellence in Rennsport 911s, something Lee says the 964 doesn’t appear to adhere to. While all 911 Rennsports are stripped of unnecessary equipment as part of their performance DNA, they are also refined with aerodynamic enhancement (it all started with that iconic ducktail spoiler in 1973, remember) and a concerted boost in power. The 964 RS had none of that, however. Sure, it hunkered down 40millimetres lower to the floor than a requisite Carrera and featured extra air ducts in the front bumper to aid brake cooling but the body was otherwise standard form, while a 10bhp power hike from the engine is nominal at best. It may have been the first 911 Rennsport since the rare (and bonkers) SC RS some eight years previously, but the 964 RS lacks the level of flare and specialty enjoyed by the later 993 variant for example, which had substantial engine enhancements as well as aero tweaks at the front and back of the car. Even later Rennsports in the era of water-cooling, which have come in for criticism from some quarters for not offering power hikes or significant weight saving over lesser GT3 models, are still nevertheless idolised here for having that famous Mezger race-derived engine sitting in the back, whereas the 964 RS boasts little more than tweaks to a Carrera powerplant of the time, with a revised ECU responsible for the extra ten horsepower. Considered the pinnacle of air-cooled 911s, the 993 RS was much changed from its Carrera counterpart, unlike the 964. While the spec sheet suggests the 964 RS had some commendable mechanical enhancements (revised gear ratios and stronger synchromesh, plus limited slip differential to name a few), for me it’s overrated and still isn’t special enough to sit at the same table as other 911 Rennsports. The engineers at Porsche must have felt the same, as only two years after the first 964 RS release, a widebody, 3.8-litre 964 RS was made available, equipped with a new engine and subsequent power hike – and with a total mass that still managed to fall below that of the narrow-bodied 3.6-litre 964 RS.